President Obama told Democratic Senators at the White House this week he is going ahead with his agenda with or without Republicans in Congress. It looks like he will be ramping up the so-called executive order on policies such as immigration and income inequality. I don’t see how a Constitutional scholar doesn’t get the way the U.S. government works. Executive, Legislative and Judicial branches of government are essentially equal and provide checks and balances. I predict this policy will backfire. Meanwhile, speaking of backfiring, President Obama paid a visit to North Carolina to talk about jobs and manufacturing. Guess who wasn’t there? N.C. Democratic Senator Kay Hagan, who is up for re-election in November. Both the White House and Senator Hagan’s office said she was just too busy to attend. Let me get this straight, a Democratic President comes to your state in an election year to talk about jobs for your state and you can’t make it? This is something President Obama is going to cover in the upcoming State of the Union Address. Here’s my take: I have been predicting that Democrats would be running from President Obama because of the ongoing and increasing fallout from his signature legislation—Obama Care. You know, the legislation where you can’t keep your doctor or your health plan. The legislation that is making most health insurance premiums go up along with deductibles and copays. The legislation administered in part by the IRS that taxes you if you do not buy into it. I told you Democrats would be running from it, and they are. People are mad and getting madder by the month. Wait until the so-called employer mandate kicks in and causes cancellations and prices of health care shoot up like a rocket for 10’s of millions of people. Democrats know this is a huge political problem. That’s why they put it off until 2015—after the Mid-terms! I am predicting Kay Hagan will lose her job, and the Democrats will be the minority party in the Senate after the Mid-term elections. Not a single Republican voted for Obama Care, and that is going to be the main issue for November 2014–if we do not have war in the Middle East. More bad news for Democrats from a bipartisan Senate report that said the “Benghazi Attack was Preventable.” It blames the State Department for ignoring requests for additional security. This is a black eye for the New York Times, who did a six month investigation and came to the conclusion this attack was not related to al-Qaeda. False. That it was a spontaneous demonstration turned violent because of an anti-Islamic movie. False. It is now known the Defense Secretary and the Joint Chiefs of Staff briefed the President the day of the attack. They told him at the White House it was an al-Qaeda terror attack. Everything that came out of the State Department about Benghazi was a huge lie. Hillary Clinton was Secretary of State then, and this is going to be a problem for her if she runs for President in 2016. Here’s some more “recovery” news. JC Penny is “Cutting 2,000 Jobs.” Hey, guess what else? Christmas sales we’re not so good for most companies. Best Buy took a huge hit to its stock price and earnings because sales were dismal. This is not growth. This does not signal an expansion of business—just the opposite. Of course, housing and autos are doing well because of Fed money printing and easy money. Fabian Calvo of TheNoteHouse.us said anyone who can fog a mirror can get a car loan or a home loan. My question is how long can the Fed print money before big inflation hits. We are going to find out because I look for the Fed to increase the money printing, not reduce it. President Obama is starting to address the massive NSA spy program. It is going to be tough to put the spy genie back into the bottle. Remember President Obama’s review panel on NSA spying? His own panel said the NSA spying did not stop terror attacks. Last year, the outgoing NSA Chief, General Keith Alexander, said the spying stopped “one, perhaps two” attacks. Things may not change right away, but at least some people are waking up that the spying is bad for business and bad for liberty and freedom. Finally, anyone who doesn’t think the gold and silver markets are not manipulated should stop the denial. It looks like not every regulator in the world is a spineless crook. One of Germany’s top financial regulators, Elke Koenig, said manipulation of precious metals “is worse than the Libor-rigging scandal.” Let’s see, we have credit ratings rigging, stock market rigging, interest rate rigging, energy market rigging, and we can now add precious metals to market rigging going on. We live in a world of criminal activity perpetrated by big banks and sanctioned by big government. Now, that’s a stable global system we can count on–not. Former regulator, Professor William Black, joins us Monday to talk about crime and fraud at the highest levels of government and banking. I agree with you that democrats are in serious trouble in the upcoming mid term elections over the Health Care Destruction Act and numerous other issues. Unfortunately I think the American people are in for a big disappointment if they’re expecting the republicans to really do something about it. Once the elections are over the voters will be snubbed again and the tens of thousands of Washington lobbyists will be pulling the strings. You also noted Obama’s recent statements about going ahead with his agenda with or without congress. What else could we expect. Congress has been surrendering it’s constitutional authority to the EPA, DHS, IRS, NSA, etc. for years. They are now about as useful as you know what on a bull. As for the New York Times they squandered their credibility a long time ago. They are now part of the ” alternative media”. I wouldn’t rely too much on the mid-term elections. I don’t see Americans as angry today as in 1994. Voter turnout has not been that great. Just more apathy from Americans and more status quo from the 535…. What type of range do the ham’s have that you suggest. I need to buy some, but I wouldn’t mind getting ham that reaches across USA too. Thanks, Ugly…. hams are run by repeaters, if your near a repeater, it will repeat around the world, I like the 2 way radio feature. google it for the range. Conservative radio host Mark Levin on Thursday implored the GOP to “boycott” President Barack Obama’s upcoming State of the Union speech because his administration has refused to abide by the U.S. Constitution. The radio host said the GOP needs to “do something bold” to get the attention of the American people. The media, he said, would “attack” the effort, but would not be able to ignore it. “It would be historic, it would be profound that finally the opposition party demonstrates that it opposes, not just the Democrat Party, but the destruction of this republic by this president,” he added. Needless to say that things are becoming unstable everywhere. Actually SHTF just put out an article saying the govmnt will shift the blame to us. When the system finally buckles – and it will – who do you think is going to get the blame? The answer is quite simple. It’s going to be those people who planned ahead. Did you stock up on food and other supplies ahead of time while Americans are starving in the streets? Then you are a socially selfish individual and you’re personal property will need to be seized and distributed for the greater good. In fact, a recent Executive Order gives the President authorization to do just that. Did you purchase silver or gold as a hedge against inflation or fear that our monetary system would collapse? Then you are to blame for undermining our national currency. Do you have a retirement account like a 401K or IRA while other Americans have to depend on paltry government assistance checks to survive? Then you are the problem because you haven’t shared your wealth. Congressional members have already discussed turning your personal savings into government managed plans much like Obamacare. Do you often discuss free market principles like the elimination of income taxes or letting large institutions fail when they mismanage their company operations? Then your ideas are to blame. Yes, I read that and totally agree. I have no doubt they will shift the blame onto those who prepared. That’s what central planners do. Without us they wouldn’t have a job. I had an emergency visit to my dentist on Friday. The dental assistant I found out is a prepper. We got to talking and she and her family have guns, food water and a getaway plan. When she mentioned that in the office there were several rolling of the eyes by her co-workers. That’s why I don’t say anything to anyone unless they say they know where all of this is heading and that they are preparing. Greg … Excellent wrap up of what is wrong with America. You are my hero!!!! You are bang on when you say the main street media has to get on board and help put an end to all the lies, manipulation, corruption, by the Gov., the Fed and crooked banksters. These people are destroying the western world for power & profit and they all need to be striped of their wealth and thrown in jail. I hope William Black takes the gloves off. Professor Black does take the gloves off. Jamie Dimon should not watch what coming out Monday (Maybe it will be a “Sunday Early Release”.) The MSM could put me out of business in a month if they started to tell the truth. Greg amazing wrap up . So much going on how can one know where to start. Obama is simply drunk on power, Media is sound asleep ( while there home is on fire ). The system is in a tornado spin with gold laying on the ground for the grabbing. Thanks for all that you do. Greg, the problem as I see its not that the Democrats will be a minority party in the Senate after the midterms its that now the Republicans will be in – more of the same. Nothing will change, FED still in charge of the economy, subject to foreign wars & probably another one, crony deals, payoffs, schemes, pork, more debt, NSA spying, etc., etc., etc. One must understand that the Republicats have been around and sanctioned the fleecing of America allowing multinationals to take our jobs offshore all along. Can one find any bills against it submitted by that party or either party for that matter – no, in fact, the tax laws & rates were given to them encouraging the practice by our “patriotic” Congress – Congress has sold out the American people for their campaign contributions from the multinationals and many other corporate players. I therefore challenge anyone of you out there to a debate that the “changing of teams” will be any better, only just more of the “same o, same o” as we have come to know. The two party system is corrupt & incorrigible. The system has been manipulated to have one party fleecing the American people & its middle class wealth at all times. I have no confidence in Congress to set anything right or to do anything in the best interest of the basic American, only to act in their own best personal interest, which by their conduct of the last 50 years has not been sided with the American working class. Image: Atlantic Council Meeting (Wikimedia Commons). “Very few have taken note and fewer have acted on this realization,” notes Ullman, lamenting that “information revolution and instantaneous global communications” are thwarting the “new world order” announced by U.S. PRESIDENT H W GEORGE W BUSH more than two decades ago. I agree, I personally havent voted since reagan, because as soon as GHW Bush announced NWO at the UN, I was outta the system. I told my Lawyer buddie, in 1992 we would see the arabs attack usa before 10 yrs. The game is rigged, here in usa as well as ME. I think we can agree, a group of high rollers run the show, I am but collateral fodder. I just plan to eat well, until they roll out the gillotines at the fema camps. My loyalty is with Christ, ie GOD, become flesh to remove me from the penalty of my sin, and the sins of my life, stop. As you have stated and we are all thinking, different scenarios, EMP over usa; War in middle east, syria was an attempt; or a haarp induced earthquake in calif, or new madrid faultline above memphis tenn. would due for starters. that was a really great weekly wrap-up. You covered a lot of bases. Here’s one story that is not getting a lot of coverage. To give you an idea of just how centrist our government has become, take a look at this. First the Feds took over GM, then the Banks, the Insurance Industry, and now a small town in Wyoming. Greg is it any wonder the Feds have to print money? They have their finger in every nook and cranny of this country. If they can ignore congressional law, how long will it be before they do bail-ins and come after our money and property? I mean, who’s there to stop them? Certainly not congress. That worthless gaggle of sheep have done nothing to preserve our Constitution. Absolutely nothing. At the very least they should filed an injunction to stop this insanity, at least temporarily. How can any normal free enterprise system possibly work, with this tyrannical boot of government constantly on its neck? Thank you Jerry for adding this content to the WNW!! I get a lot from the weekly news wrap ups. So Obama was informed that Bengazi was a terrorist attack early on but went in front of the UN and lied about what happened? People died, Obama lied. I bet within six months I’ll be able to say the same about Obamacare. Obama is incompetent, at best or he is actively involved in the destruction of America. Look how he has decimated military leadership and demoralized the troops. You think Obama didn’t approve of the cut in benefits for the disabled veterans (not voting for the Obamanation) but gives ner’dowellls on welfare increases (vote for O, he’ll give you Mo)? There is NO question the President was informed it was am al-Qaeda terror attack from the Joint Chiefs of Staff and Secretary of Defense. They all knew it was NOT a demonstration of a anti-Islamic movie but a well planned coordinated attack. I don’t know how else to characterize this other than the Obama Administration LIED about the events of Benghazi. What else has “he” lied about ? Who is Barry Soetoro ? aka Barack Obama…..
What is his agenda ? Is he more than just a puppet ? Executive Orders…issued from whom….. and for what purpose? To remove/eliminate the democratic process? I feel we are about to experience another massive false flag event (as Allen Ols’ post above alludes to). America’s forefathers forewarned of these events evidenced by a removal of personal liberties, rights and freedoms. He is a little “r” republican, with Jeffersonian principles — aka, he stands with the constitution, not the democrats or Mitch McConnell. Brett, Texas is my home. Native Texan. I was so happy (happy-happy-happy) to get rid of Kay Hutchison (she quit PTL). I correspond with these people (Senator’s) regularly and for being educated I am amazed at how inept they are. Or maybe just corrupt. Thanks for the info I will check it out. Will do all I can to get rid of Johny Cornyn. Art Cashing just posted on KWN……here is a snipet towards end of article recalling 2008 and lehman moment. It had all happened in a matter of days. After hurried and frantic calls, they arranged an emergency meeting in Nancy Pelosi’s office. It was Bernanke, Paulson and the Congressional leadership. The talk was so somber, that, according to reliable sources, there was even a discussion of invoking Martial law in the United States – Martial law, folks. That’s how I remember it – not as a series of meetings and discussion. Rather several days of terror and near collapse. Let’s not go by this way again. Age Remo – As you probably recall from 5th grade Latin class, Age Remo (Ahjay Raymo) is a Latin imperative to “work your oar”. Yea! William Black! I just watched an interview of him today. Greg, absolutely love your weekly news wrap-up. We certainly don’t get this perspective in the MSM. Just wish we saw more of you during the week. Would agree that the democrats will be getting desperate to hold ground during the mid-term elections. Just how far they’ll go is the question. The stage is certainly set for war in the mid and far east. Also, the amnesty (vote diluting) scheme, with recent “belt-way” Republican backing, is another possibility. But then again, will Obama unilaterally delay portions of Obama-care into 2016? I’m not sure what 2014 will bring. However, be sure of this, once the Republicans take both houses of Congress, the MSM will stop puffing the economy and report the “real news.”–then blame the Republicans for it. I don’t flip out the “war card” lightly. War in the M.E is a real possibility. It is. is. Will the U.S. and Saudis make up? ….Seems Cray…. Obama just said in a speech not to worry. The NSA are our friends and neighbors. Hahaha. Does anyone remember kristallnacht? Those were friends and neighbors, too. Let me give you an easy guide on how to interpret an Obama speech. To find out were his head is or his true intentions, do the following with the written transcript. Any sentence where Obama use the word “not” in a sentence stating policy or actions, strike out the word, “not”. Any where Obama is talking about actions or policy in a sentence without the word “not”, add the word “not”. Simple, accurate and sadly true. This is from 2010 and is different than most opinions coming from any camp or current system. Either it rings much more true than what we normally discuss or it does not. What if the main problem really is just a bad system getting worse. I like this because Peter makes it clear, we are all in this together. I would really like to know from anyone who watches this in it’s entirety, what they think. Maybe we really are just being led away from real causes and conditions by a few who profit and are at the head of a poisonous snake we continue to play with. Thank you for posting this content and for your comment! But, “What difference does it make? !” we are in a “recovery”! Yes, voters will switch back to electing Republicans in the mid-terms. You remember that party, the one that brought us the phony ‘War on Terror’, which lead to the systematic destruction of our Bill of Rights. Lies upon lies… Isn’t it odd that to my knowledge not one existing Republican (or Democrat) in Congress is searching for the truth about Building 7, the 3rd tower brought down on 9/11. I agree with you, the Republicats are just as bad if not worse, how about the Department of Homeland Security enacted with old jr Bush , I always heard Republicats didn’t want anymore pork departments; so much for their heretic as well. Diane you are so right. Even if the voters don’t vote for republicans they may still be the winners of the elections. Voter fraud has not been fixed just covered up better. I refuse to vote anymore. We need to know our vote counts. Voter fraud has been proven to congress. Nothing was changed in the way we hold elections. Except now our votes get transferred to Spain . Question of the century is WHERE IS THE CONGRESS OF THE USA ? The weird stuff of say 911 and tower 7 actually went on even sooner. I am saying the weird stuff of Oklahoma City and also Waco. On Republicans, just vote for new ones. I don’t trust any dems, and very few repubs. But whatever your decision, get out and vote. I am voting all repub, mainly the teabaggers…. Yes Uglys. hearing about ‘Building 7’ I FINALLY woke me up. I revisited O.K. City, Waco and even Ruby Ridge. Wow, how could I have been so asleep? “Spying is not backing it is just getting better” because our attention is being diverted to focus on the issue of transparency while leaving its more fundamental and important purpose unaddressed: What happens when the corporations and their crony governments know all they want to know about us? Snowden rocked the boat, but now hides out in the shadows of a foreign country while the surveillance boat sails steadily onward. It distributes the drones, video cameras, smart meters, spying home appliances, back-doored electronic spy products and other tools of surveillance while establishing TSA checkpoints, monitoring our phone calls an computer keystrokes and the recording all of the products we purchase. So whose vision is this that requires all citizens to be treated as potential criminals, murderers or terrorists needing to be placed under a heavy blanket of surveillance? Certainly the vision is not ours and never was. Is it just a coincidence that with each witnessing of a traumatic event, such as the bombing of buildings in our cities of Oklahoma and New York, or the killing of our children in various school class rooms or the killing of runners in a marathon, came the parallel unleashing of ever more potent set of draconian laws and surveillance methods; all prepared in advance and put in place without our consultation or input? Based on the above observations, it is clear that the growing surveillance powers being organized against us do not enhance our security, as claimed, but certainly do curtail our freedoms. So when total and complete surveillance is accomplished and freedom is inevitably vanquished, what comes next? The answer is total and absolute control. If we are more than herd of cattle or a hive of bees to be dominated and controlled by a set of beings who would assume such powers over us, we need to stop simply begging for a transparency in the chains being used to bind us. Instead, we must assert, in every way possible and backed up by concrete actions, that our freedoms are not some obsolete, archaic beliefs but are real, eternal and inviolable rights of all human beings who choose to live in a free societies. Bravo and thanks for that quote. Yes, the framers of this Nation were very much opposed to both Central Planning and Central Banking for the very same reasons. We as a Nation have embraced both to our demise. You are spot on with regards to the Executive Orders. Just like the Roman Senate that allowed for a Caesar, this Congress has abrogated its duty and is allowing for dictatorial powers as well. Heck, this Congress has allowed for itself to be influenced by every actor other than the people they purport to represent. You know, with all the naked criminal antics, all the straight faced lying, even under oath, all the outright scandalous behavior and undisguised thievery going on and all the real human cost in bitter, unbearable suffering that often is a direct result of all this godless bulls#@#, I find myself often shaking my fist at the sky and screaming in the exact same way as Habakkuk once might have done. Perhaps in that short book lies the key to not only understanding but eventually overcoming the ridiculous amount of peril facing us today. 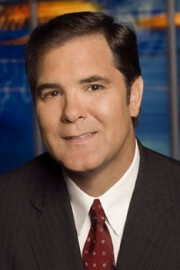 Greg, another great week of news sharing and knowledgeable guests.Thank you. Gotta a question though…these supposed fines levied against the “banksters”…are they ever collected?…or is this just more examples of image control so it looks like they are being punished for their crimes? “We live in a world of criminal activity perpetrated by big banks and sanctioned by big government”……………The fact that the root cause of this horrible econony was not even an issue in the 2012 elections is proof of the government sanctioning. Any bets if it will be non issue again? Greg, News flash: JP Morgan dealing with drop off in refinanceing of mortgages. This means they will have to make borrowing easier; without there will be no mortgage activity. Watch for them to loosen the underwriting significantly…No down loans, stated income stated asset etc, here it comes because there is nothing else. asked a few questions and then asked me who the lien holder was; “I jokingly said me”. She didn’t no what to do! I then said paid for it in cash, there is no line holder. She didn’t believe me at first…she didn’t know how to process the insurance without a lien holder! She had to get a much older supervisor to come and do it! It took 35 minutes; when it should have taken 5 minutes. That is how loaned out we are in this country…. Good real world reporting and a good vehicle buy at the same time!!! Vehicles run better with the title in hand! Thank you for sharing. Greg, you are an “ex” main stream media(MSM) guy. You said that the MSM needs to “wake up”. It has been my assumption that the MSM is very much aware of what the “real” news is, but that it is in their financial interest not to report it. Thus, if you are a person that is inclined to tell the truth, you cannot work in the MSM. So my question to you is: Do you think the MSM is actually not aware of what the truth is? I still know people at the Networks and CNN and FOX and I know for a fact they know what’s going on. They know if they rock the boat their contract will not be renewed. Remember this is not a small nuanced situation. What is happening now has never happened in human history. This is a very big thing. They know it and are scared to talk. Thank the good lord for the internet. Not renewing my contract, was the best thing CNN could have done for me. One answer is lack of jobs for U.S. college grads going forward. Given above, it’s no wonder the 5-city, 2-day military clamp-down occurred in Boston after the MARATHON BOMBING to catch two alleged bombers. It looked like a practice session to many. Only one alleged bomber, the other one is in hell. Those of you who are looking forward to Greg’s interview with professor Black on Sunday night might enjoy a warm up session with an interview he did a couple of years ago with Front Line. Though the timing of the events are slightly off because of market manipulation, the results of his investigation are the same. This is one of my favorite videos predicting where we are, and what’s going to happen nest. Enjoy. groups. We truly do have the best government money can buy! I just wanted to take a moment and thank you personally for all of your interviews, posts, links to very interesting articles, your dedication to the truth and the public, as well as your hard work. Too often those reporting truth are chastised and ridiculed and it is a breath of fresh air coming to your site. I know when I visit there will be no spin, just facts, but of course you always state when you are giving your opinion. I’ve been a regular visitor of USAWATCHDOG.COM for almost a year and have been telling friends and family about it for several months! Your interviews are always riveting! The “job” the mainstream media is doing is a sham and a shame! I applaud you for your good deeds and hope you can and will keep it up! Thank you Bryan for coming here to comment!! First just want to give Greg a big Kudos, I watch your videos regularly but for whatever reason rarely here. I consider you one of the ‘good guys’ in Alt Media, someone who let’s their guest speak, seeks the facts, and doesn’t have any ‘ego’ issues. The Calvo and Willie interviews were both great. Keep up the excellent work. The pace of the unraveling quickens with each day. I’m not sure how close we are to ‘the big bang’ but I’d say sooner rather than later. Regardless, 2014 is going to be a very interesting year. Thank you for your support Torn. Thank you William for the heads up. he ‘doesn’t get’ the Constitution because, contrary to what is claimed, he is no ‘constitutional scholar’. he is a liar. Ditto RGT. Keep up the good work! Keep an eye on this, if Scotland secedes from England then you will have this blue print going every where including US ! EU is threatening Scotland now that they will be deprived from finance if they go for it, a very important test, a blue print alas the Cyprus bank blue print with a different twist! It is expected to be voted on in Sept 2014, a lot of twisting arms is going on now and expected to increase towards the referendum day. Greg, once again thank you. The political sphere has lost its moral compass. Decency, security, and liberty alike demand that government officials shall be subjected to the same rules of conduct that are commands to the citizens. Profound quote: “Those who make peaceful revolution impossible, will make violent revolution inevitable.” Thank you for posting it here! He is going for dictatorship do you think this President even cares. He is a dictator and both parties have merged as one under the hammer and sickle. We are a communists country no if and or buts about it. Anyone thinks their vote counts look at blackboxvoting.org the votes are not counted. This is just what John Todd said 25 years ago I thought he was a nut but it s looking true. You’re on the button, however we all have to realize that when TPTB do things that WE think are lame and not benefitting THE PEOPLE and only benefitting the BANKS, we’re not looking at it in the right perspective. THIS IS THEIR PLAN! It’s working PERFECTLY for THEM! The rest of us don’t even get a blip on their radar. When the housing debacle happened a few years ago, they could have just GIVEN the money to all of us who were indebted to the banks to pay off their mortgages and THAT would’ve stimulated the HELL out of the economy and in the end probably have cost a lot less that giving the BANKS the bailout, but we all see how THAT worked out. It’s not for US in the first place, never has been, and these guys are just being overtly blatant about it at this point because THEY CAN! All of this is working out PERFECTLY, just not for the 99% of us that don’t count in their plans. Hopefully we will decipher enough to be able to counter balance their plan and not take as big of hit. Good comment and I cannot disagree. Thank you for weighing in here! !